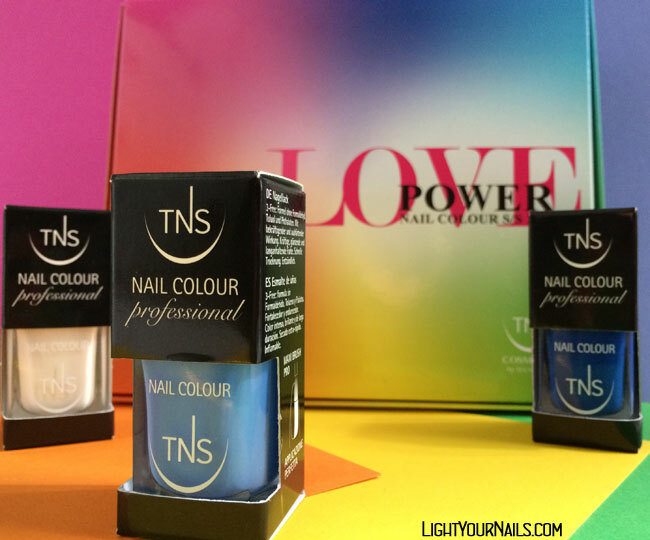 TNS Cosmetics Love Power: Heartbeats (469) | Light Your Nails! Glad you like it! I love blue, too! Ciao :D che bell'azzurro! Questi colori fanno sempre breccia nel mio cuore, anche se non sono sicura che mi stiano tanto bene. Ho appena scoperto che nella mia città ci sono dei rivenditori TNS, proverò ad andarci! Ma ciao :D Io sono una fan degli smalti TNS quindi non posso che consigliarteli! ...questo smalto è splendido...come colore e qualità!!! I think blue is becoming my new favorite summer color! It's always a favourite for me! You're right! This is stunning! I love it! It's such a happy pretty perfect blue creme! I think this one leans a little bit more towards periwinkle if compared to that one. blue is so pretty on you. What a beautiful blue! Your blog is dangerous- it introduces me to so many brands I'm not familiar with, and I'm not even sure if I could get this in the US. I guess I need to plan a trip to pick up polish! HAHAHA! Hahaha! If you'll ever do your trip to Italy I'll be sure to be your guide! Gorgeous! I love a good creme and this looks excellent! Lovely color! Thank you Cat! TNS definitely knows how to do a good creme! What a gorgeous shade! I'd wear this for sure. :) Great swatch!